Home / Blog / First “summer” rally of the season is a scorcher! 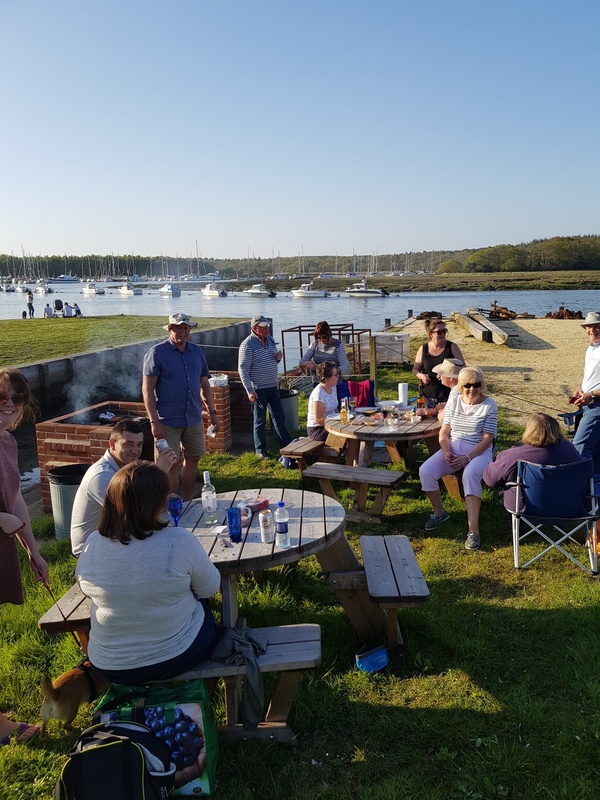 May bank holiday weekend saw the BOA out for the first rally of the summer season, with the fleet visiting the very picturesque Buckler’s Hard in the Beaulieu river, followed by an evening at Swanwick (incorporating the AGM). The weather really couldn’t have been more epic, with record temperatures and uninterrupted sunshine, and I suspect that there are a number of people nursing red necks and knees today! 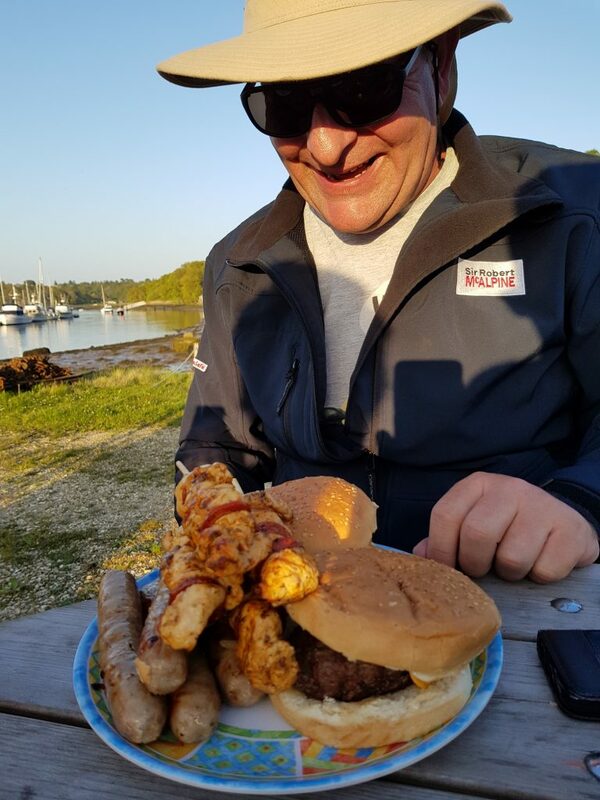 The following day provided just enough wind for most of the fleet to sail from Beaulieu to Calshot (those that could be bothered to put their sails up), and a pleasent group evening meal was had at The Navigator in Swanwick, following a brief AGM. The weather was so good, that a number of boats decided not to go home on Monday, but to stay on and go over to the Island for more fun and sun. Highlight on the weekend? – Ant’s dinner (see below for the photo)!